Does vitamin A do anything to help eyes and vision? Can a vitamin A deficiency cause blindness? Is it dangerous to consume too much vitamin A? vitamin, including information about eye benefits of vitamin A and beta-carotene, top vitamin A foods, and possible benefits of vitamin A eye drops. Sweet potatoes and carrots are excellent sources of provitamin A carotenoids that are good for your eyes. Vitamin A from animal-derived foods is called retinol. This "pre-formed" vitamin A can be used directly by the body. Good food sources of retinol vitamin A include beef and chicken liver, whole milk and cheese. Vitamin A obtained from colorful fruits and vegetables is in the form of "provitamin A" carotenoids, which are converted to retinol by the body after the food is ingested. Good food sources of provitamin A carotenoids include carrots, sweet potatoes, spinach, kale and cantaloupes. Beta-carotene is one of the most prevalent and effective provitamin A carotenoids. Because vitamin A helps protect the surface of the eye (cornea), it is essential for good vision. Studies show vitamin A eye drops are effective for the treatment of dry eyes. 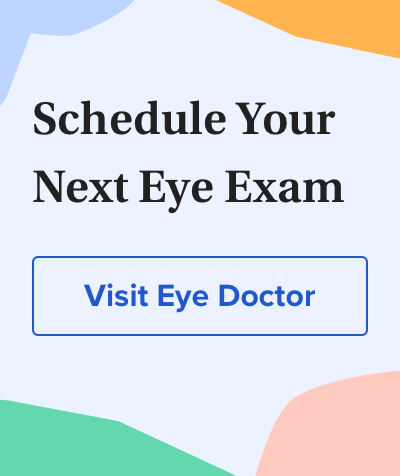 In fact, one study found that over-the-counter lubricating eye drops containing vitamin A were as effective for the treatment of dry eye syndrome as more expensive prescription eye drops formulated for dry eye relief. Vitamin A, at least when in combination with other antioxidant vitamins, also appears to play a role in decreasing the risk of vision loss from macular degeneration (AMD). In the landmark Age-Related Eye Disease Study (AREDS) sponsored by the National Eye Institute, people with mild or moderate AMD who took a daily multivitamin that included vitamin A (as beta-carotene), vitamin C, vitamin E, zinc and copper had a 25 percent reduced risk of advanced AMD during a six-year period. It also appears that a combination of vitamin A and lutein may prolong vision in people suffering from retinitis pigmentosa (RP). A four-year study conducted by researchers from Harvard Medical School and other prominent universities found that individuals with retinitis pigmentosa who took daily supplements of vitamin A (15,000 IU) and lutein (12 mg) had a slower loss of peripheral vision than those who did not take the combined supplements. Because beta-carotene is converted into vitamin A in the body, it's likely this provitamin A offers similar eye benefits as the pre-formed retinol type of vitamin A, though more research is needed to confirm this. And researchers at Columbia University Medical Center found that a synthetic, altered form of vitamin A might be able to slow the progression of Stargardt's disease, an inherited eye disease that causes severe vision loss in young people. When given to mice with the same genetic defect as humans with Stargardt's disease (also called juvenile macular degeneration), the modified vitamin A inhibited the growth of clump-like deposits in the retina called "vitamin A dimers" that are associated with degenerative changes and vision loss. The National Eye Institute has awarded the researchers a $1.25 million grant to further investigate the link between vitamin A dimers and various retinal degenerations, which could lead to new approaches to treat these diseases. Vitamin A deficiency is rare in the United States, but it is common among the poor in developing countries. It's estimated that approximately 250,000 to 500,000 malnourished children worldwide become blind each year due to vitamin A deficiency that could have been prevented with a proper diet. One of the first signs of vitamin A deficiency is night blindness. In ancient Egypt, it was discovered that night blindness could be cured by eating liver, which later was found to be a rich source of vitamin A. A lack of vitamin A causes the cornea to become very dry, leading to clouding of the front of the eye, corneal ulcers and vision loss. Vitamin A deficiency also causes damage to the retina, which also contributes to blindness. Because vitamin A also is important for resistance to infection and a healthy immune system, vitamin A deficiency can lead to death from respiratory and other infections. In most cases, it's best to obtain vitamins and minerals from a healthy, balanced diet. The concept of the Daily Value (DV) was developed to help consumers determine if a food contains a lot or a little of a nutrient, based on its Recommended Dietary Allowance. The DV for vitamin A is 5,000 IU. Vitamin A that comes from animal food sources is not water-soluble and therefore is not readily excreted from the body. Instead, it is stored in body fat and, if ingested in excess amounts, can build up in the body and become toxic. Beta-carotene and other provitamin A carotenoids found in fruits and vegetables don't pose the same vitamin A toxicity risk. These compounds are water-soluble and are easily eliminated from the body, so vitamin A toxicity from vegetarian food sources is rare. Possible toxicity reactions from long-term daily consumption of vitamin A above these levels include birth defects, liver abnormalities, reduced bone mineral density that can lead to osteoporosis, and central nervous system disorders. August 2015 — Sweet potatoes are a promising way to help vitamin A-deficient children in South Africa, according to a June report in the journal Crop Science. Vitamin A deficiency is the leading cause of preventable blindness in children around the world. Sweet potatoes have naturally high amounts of beta-carotene (which our bodies convert to vitamin A) and are already a well-accepted food in South Africa. "We realized it would be great if we could develop a local variety which has good yield, high dry mass, and desirable taste attributes, and promote it to combat vitamin A deficiency," says Sunette Laurie, a senior researcher with the Agricultural Research Council in Pretoria, South Africa. Laurie and others tested 12 varieties of sweet potatoes in humid subtropical, drier subtropical and temperate climates. Impilo and Purple Sunset are two varieties that have shown the best results. In a 4.4 ounce serving, Impilo provides 113 percent of the daily vitamin A requirement of a child 4 to 8 years old; Purple Sunset provides 261 percent. Another variety called Bophelo has more beta-carotene than Impilo and tastes better. Laurie's team is working on more varieties with an eye toward pest-resistance, and she is working toward the building of more agro-processing units that would make flour, bread, muffins and other foods from sweet potatoes. Columbia researchers work on preventing blindness from age-related macular degeneration and Stargardt's disease. Columbia University Medical Center. Press release. May 2011. Clinical trial of lutein in patients with retinitis pigmentosa receiving vitamin A. Archives of Ophthalmology. April 2010. National Nutrient Database for Standard Reference, Release 22. Agricultural Research Service, U.S. Department of Agriculture. December 2009. A comparison of vitamin A and cyclosporine A 0.05% eye drops for treatment of dry eye syndrome. American Journal of Ophthalmology. February 2009. Dietary Supplement Fact Sheet: Vitamin A and Carotenoids. Office of Dietary Supplements, National Institutes of Health. April 2006. A randomized, placebo-controlled, clinical trial of high-dose supplementation with vitamins C and E, beta-carotene, and zinc for age-related macular degeneration and vision loss: AREDS Report No. 8. Archives of Ophthalmology. October 2001. Vitamin A eyedrops for superior limbic keratoconjunctivitis. American Journal of Ophthalmology. May 1988.